At times like a free period and during class, students can be seen playing video games from something as simple as Poptropica to Halo. To those who are unfamiliar with the massive enjoyment of video games, many wonder how these students have the time to play and still be able to balance school work? Some do not, and their grades can reflect that. Some can. How does one person remain stationary for hours, non-stop, on a single video game? Junior Jonathan Yim started playing video games in third grade when he was intrigued by the enjoyment he got out of the graphics. His first online game was Club Penguin but then shifted to a favorite 2D Korean multiplayer online game, Maplestory. Since then, he admits that not a day has gone by where Yim has not played video games. He confesses that he is indeed addicted to the fun. If you ever see Yim at school, there is a very high chance he is rapidly making combos and scratching his tablet screen whether it is during lunch or class. Yim owns a Wii and a DS, but a majority of the time he plays on his PC. In fact, off the top of his head, he knows that he has played exactly 87 different games, including Team Fortress 2, League of Legends and Minecraft. If it is not his tablet, he plays games on his school laptop much like many other students. A significant amount of his dedication, skill and time is invested into Maplestory. At one point, Yim was ranked the third best Maplestory player in the world. His advanced gaming skills cannot be questioned due to this immense training and practice he performs. Every single day Yim plays at the least five hours after school. On the weekends, he plays about 8 hours. Yim averages about 30 hours a week playing. “Once I get home I finish my homework as fast as I can, and then after I finish I either eat something and play games or play games than eat,” Yim said. However, to make room for games in his school schedule, Yim sacrifices his sleep. He regularly stays up past one in the morning to play with his online friends. If he has a test the next day, he will quickly study right before he falls asleep.Every month, Yim spends an average of $100 to buy new games. Yim will spend $50 on a game if he deems it worthy. One of Yim’s proudest moments is receiving profit out of his hobby. In two years, Yim has made a total of $2,100 off of CSGO, an online shooter game that is also played for its trading. Yim has gained other benefits from playing video games but they have caused concern from his parents. Yim plans to play video games for the rest of his life because of the happiness and connections they give him. It is an escape from worries and puts his mind in a different place. “I recommend others playing video games because it ruins their lives in the best way by killing a large amount of time and bringing happiness of satisfaction,” Yim said. Even with a job in the future, Yim will find the time to play after hours with on and off days depending on his schedule. However, Yim wouldn’t make a career out of video games because it would ruin other people’s lives by dragging them into this void of addiction with undying storylines and graphics. “Get off of that screen; your brains will turn into mush!” We’ve heard it all before. This is a common phrase stated by our parents and teachers. Contrary to the traditional belief of gaming being merely an addictive source of entertainment or aversion, video games can bring about change. Gaming can bring forth numerous benefits and positive life skills during adolescence that will prove to be useful in adulthood. Key among these aspects is the development and improvement of behavior, cognitive skills and physical ability. According to the American Psychological Association, building strong leadership and teamwork skills are necessary for one’s future, whether it is in school or in the workforce. Surprisingly, playing multiplayer team-based games can assist in this aspect. Working with a group, or a team is required to gain points and win the game. One must communicate and cooperate with others to find the most effective course of action to win the game. This is similar to sports teams, where all positions on a team must work together to help score. The team performance and teamwork behavior can directly assist in not only building communication skills but also help to improve one’s behavior into a better team player. Online gaming can also enable many players to improve their social skills. Not everyone develop relationships and friendships among them. Gaming helps players meet new friends with similar interests and hobbies, as well as strengthen bonds with old friends. According to the Merriam-Webster Dictionary, a habit is defined as a “regular tendency or practice that is hard to give up”. Due to human habits, players tend to pick up essential skills through gaming. Players repeatedly perform under pressure. Due to the fast pace of games, players must make more rapid decisions. The ability to retrieve information and react in a split second can be strengthened through gaming. Because new information is continuously being displayed on the screen, players are forced to adapt quickly. Not only this, but video games also have specific rules. This means that the player must carefully maneuver to follow the rules within the particular game. These split-second decisions will determine whether or not he or she will advance to the next level. This skill of problem-solving can be applied in future situations. The lives of teenagers today are continuously filled with stress and chaos. According to the American Psychological Association, video games can help one escape and relax. These games tend to make one lose track of time due to their addictive and engrossing nature. This relaxation of the mind also requires full attention to the screen, not allowing the player to be focused on real-life problems. They can be seen as a beneficial way to cope. “It helps me escape reality a little, especially from a long day of school and homework,” freshman Akira Negley said. In addition to this, video games have the benefit of the restart or retry button. This is similar to real-life situations. If one falls, they will get back up. If one fails a test, they will retake it. If one misses the ball in the basketball hoop, they will shoot again. The incentive to respawn and try again in video games allows one to develop the mindset never to give up. The repeated action of continually trying to win, despite losses, will bring one into the habit of always trying to be the best one can be. These animated games will help in building confidence and a strong work ethic. While video games might be beneficial, there is a need to play them in moderation. It is also essential to pick the right game as not all provide the same benefits. If there’s one thing marijuana is good for, it is being inexplicably tied to people’s identities and how others perceive them.Whether it is self-superiority or simply compassionate disdain, people have the tendency to love to talk about their feelings on topics regarding cannabis and its accompanying culture. Although marijuana itself has been proven to have many benefits in medicinal uses, there is still a negative connotation that is associated with the name and its subculture. The mainstream or media’s portrayal of people who smoke marijuana are viewed in a negative manner and are often looked down upon. People try to paint marijuana with a broad, large brush to say the least. It is easier to think of things as black or white; good or evil. Some would like you to think that you are doomed if you use marijuana, that you are wasting away your life. This is not true. With marijuana, the truth lies in the middle. Today, every one of us is spending more of his or her leisure time watching TV or using our smartphones to go on Twitter or Snapchat. This shows that the media influences our decision process and establishes our perspectives. It seems that these perceptions have been existing forever. That is because, from early childhood, we are given by our parents and our teachers a clear line of what is right and wrong. Our drug education system is one of the many aspects that influence the public perception of marijuana. Looking back to the previous years in our PE classes, the vast majority of lessons had to do with marijuana and how it will ultimately cause you to lose your grip on reality in a whirlwind of addiction. Maybe this will happen. Maybe it will not. A more realistic, comprehensive approach would only see to students making safer decisions. There is more public support for marijuana law reform than ever before. According to Governing, new polls show that current as of September 14, 2017, more than half the country is in favor of legalizing marijuana. Despite the fact that America itself is ready to let people smoke marijuana legally, there is still a rather bad light on those who do. These judgments go hand in hand to stereotypes. The cannabis community has had to live with these stereotypes of being lazy and losing all self-motivation based on the media’s depiction. However, this perception is proving to be outdated and misinformed. According to a recent study conducted by BDS Analytics, the annual household income among consumers in California is $93,800. This is considerably higher than the $75,900 average income of rejectors. “In the end, it doesn’t matter unless the person you are criticizing decides to act upon it,” said junior Alex Brennan. If this issue is not addressed, thousands of people throughout America who smoke weed will be seen as dysfunctional members of society. Yet despite these findings, the “stoner” and “pothead” stereotype of being apathetic and unsuccessful remains intact. A definite stigma remains that people think these stereotypes hold true. “Whether it diminishes their self-worth or how others think of them, that is just something they will have to understand because everyone has different ideas about it,” said Brennan. By all means, I am not condoning the usage of marijuana. However, what I am saying is that it is not something that should be demonized. It also shouldn’t be something to base an identity on. Unfortunately, marijuana remains misunderstood. It is time to realize that marijuana usage should not be regarded as a means of judgment. Some people are going to do drugs. It might not be healthy, productive, or ideal, but it’s true. Marijuana use should not diminish a person’s value as a human being. Maybe it’s time to rethink what you think you know. It could be argued that the legalization of marijuana would increase the number of people who use it, whether it be for medical or other uses. According to CNBC, marijuana is the most commonly abused illegal drug in the United States. There are many reasons teenagers and other individuals use marijuana. These reasons could vary from luxury to relief of stress. Reasons could also be because of the easy access to the drug. The euphoric sensation may act as a form of persuasion to use the drug, however, the damaging side effects of this temporary relaxation are needed to be considered. Using marijuana as a luxury has many long and short term negative effects, both physically and socially. The most notable side effects of the drug are its impact on the human body. According to the National Institute of Health (NIH), short term health effects of marijuana are drowsiness, change in mood, slow reaction time, memory problems, panic attacks, hallucinations and bad coordination. If used at a young age during adolescence, usage of marijuana could decrease one’s IQ score and impact brain development. Being a user could also negatively affect one’s social life and their relationships with others. It could draw judgment from close acquaintances and even strangers. Close friends and family members would feel a sense of disappointment and distrust, therefore distancing themselves from the user. Repeatedly smoking marijuana could also create long-term problems, such as addiction. Being addicted brings financial difficulties due to the continue purchase of the drug. Aside from the effects marijuana has on users, it also impacts those around you. The immediate effect of intaking marijuana is the alternation of coordination, reaction time and alertness. Driving under the influence of the drug will hurt others in the car and on the road. According to NIH, 36.9 percent of drivers who were under the influence of drugs had used marijuana. According to the Colorado Department of Transportation, from 2006 to 2010, the number of registered medical marijuana users increased, as well as the number of drivers that tested positive for marijuana doubled. Colorado is a state that has legalized marijuana. The only positive outcome from using marijuana are it’s medical purposes. This is the main point argued in favor of legalizing the drug. According to NIH, the U.S Food and Drug Administration has not approved marijuana as an effective medicine, due to lack of large scale research. There are only two known pills that contain chemicals from marijuana approved by the FDA. There are states that have already legalized marijuana, such as Montana, and other that have legalized it for both recreational and medical purposes. According to a Melanie Wall study that compared data from the National Survey on Drug Use and Health, states that have legalized medical marijuana have seen a high rates of marijuana usage between the ages of 12-17 increase compared to other states. Even without the legalization of marijuana, many people acquire and use it. It could be argued that even with the drug being illegal, it doesn’t stop others from using it. Having it legalized would encourage others to use it, for medical reasons or not. There will be and are a large number of youths and other age groups that intake the drug that aren’t for medical purposes. Legalizing it would increase the number of those addicted and threaten the common welfare of the nation and also the user’s health. Marijuana should remain illegal to decrease the encouragement and access for the drug, it would create more problems than solutions in our nation. How did we end up in a society of such inequality? We live in a society where the two most damaging drugs, alcohol and tobacco, are legal. Whereas marijuana is still not accepted today, despite not having a single death ever recorded. Facts about marijuana are constantly exaggerated, stating that its main components will surely lead to negative health and possibly death. One may think if there is a large amount of THC from marijuana in the body system, it will cause immediate death. However, according to the U.S. Drug Enforcement Administration, it is reported that there have been no deaths recorded regarding marijuana overdose. Thus, concluding that marijuana use does not directly cause death. On the other hand, in 2010, 38,329 people died from drug overdoses. Sixty percent of those were related to prescription drugs. In that same year, 25,692 people died from alcohol-related causes, including deaths caused by driving under the influence. There are over half a million deaths annually from both alcohol and tobacco substances. They also lead to countless illnesses and injuries that affect society in health-care costs, lost productivity and law-enforcement expenses. If alcohol and cigarettes are legalized, then there should not be a reason why marijuana should not also be accepted. Unlike cigarettes, it does not lead to or cause lung cancer. In addition to this, marijuana prohibition hurts the youth and the minorities. It has been a prime factor in fueling racism, where African-Americans are four times more likely than whites to be arrested for marijuana violations.This contributes to the cycle of distrust between minority communities and the police. Legalization won’t fix bad racist cops, but it will provide them far less opportunity to act on their racism. In regard to children, nothing’s ever going to stop a determined kid from finding a joint. Just like how kids today aren’t completely stopped from accessing alcohol and tobacco. But with those drugs, somewhere along the line, a corrupt adult had to be involved. Now, kids sell weed to other kids. If legalized, far fewer minors would be using marijuana. Legalized marijuana also replaces toxic and addictive pharmaceuticals. Marijuana cures and prevents Alzheimer and Glaucoma, helps relieve stress, anxiety, depression, slows down tumor growth, and helps relieve pain for chemo/radiation therapy patients as well. Medical marijuana is important to a lot of people. It has been proved to be extremely successful in relieving nausea. It helps relax muscle tension, spasms and chronic pain. In a 2010 study reported by the Economist, a team of drug experts in the U.K. assessed the harm of drugs and alcohol. They found that using marijuana was less harmful compared to the harm posed by alcohol or tobacco use. The negative stigma of pot use has certainly made it seem like it’s worse, and since using the drug is still illegal, the fact that only people who are willing to break the law will smoke has inevitably made it associated with a “pothead” culture. Legalization also does not invent marijuana; it just recognizes that it is a popular commodity that should be taxed and regulated like all other commodities. The market for marijuana is never going to go away; we can only determine who controls most of it—tax paying, job-creating, law-abiding businesses, or murderous, police-corrupting, criminal cartels. It is unconstitutional to ban marijuana. According to the first amendment in the U.S. Constitution, everyone has the right to the pursuit of happiness. The United States government is taking away the pursuit of happiness for Americans by preventing the happiness of those who retain emotions of joy and fulfillment from using marijuana. Despite it being illegal in most states, it seems like more and more people are “blasting the joint”. Marijuana, also known as cannabis, refers to the dried leaves, flowers and stems found in the Cannabis sativa or Cannabis indica plant. The drug contains a mind-altering chemical of tetrahydrocannabinol (THC), which is responsible for the euphoric feeling associated with the “high” received from the drug. According to the National Institute on Drug Abuse, it is the most commonly used illicit drug in the United States. It is typically smoked in the form of a joint, which is a hand-rolled cigarette, or a bong, but can also be mixed with food and eaten. According to a National Household Survey on Drug Abuse, some adolescents are already abusing the drug at ages 12 or 13. This may indicate that some begin earlier. This early abuse can continue to adulthood. However, gender, race, and geographic location may play a role in how and when children begin abusing this drug. Numbers continue to rise in early drug abuse, negatively affecting the lives of thousands in the United States. Weed, pot, dope, and Mary Jane are just a few of many street names for marijuana, the gateway drug that affects many. MYTH: It is safe to drive after using cannabis. Fact: According to Casa Palmera treatment center, marijuana significantly impairs judgement, motor coordination and reaction time. As a result, Centers for Disease Control and Prevention states that marijuana is the most frequently found drug in the blood system of drivers who were involved in vehicle crashes. Although there are clear negative effects on a number of skills needed for safe driving, there is a state level but no national legal limit for marijuana impairment while operating a vehicle. If you intend to drive, the safest option is to never have any drugs in your system at all, ensuring the safety yourself and others around you. MYTH: Natural drugs are safer than synthetic ones. Fact: Natural highs, such as marijuana and mushrooms, alter brain chemistry and are associated with dangerous side effects. They can interfere with thinking, memory and lower one’s IQ. Moreover, mushrooms contain psilocybin which causes hallucinogenic effects that can entail changes to a person’s perception of color, sound, and light. The ramification of a natural drug is just as severe as that of a synthetic drug. Hence, a drug being natural does not translate to it being safer. MYTH: Drugs relieve stress. They help deal with problems. Fact: Teenagers who use weed daily actually have increased rates of depression, anxiety, and psychosis (losing connection with reality by seeing and/or hearing things that don’t exist). Smoking weed can worsen your problems instead of solving them by triggering the onset of schizophrenia and other psychoses in those already at risk of developing it. Cannabis Information and Support says that without access to sophisticated lab equipment, there is no way to measure how much THC (the chemical compound in cannabis responsible for a euphoric high) or CBD (non psychoactive chemical compound in cannabis that accounts for 40% of the plant’s extract) is in each dose of cannabis smoked. THC stimulates areas of the brain responsible for feelings of fear which of course, is counterproductive in trying to relieve stress. MYTH: Marijuana isn’t as bad for you as cigarettes. Fact: This couldn’t be farther from the truth. In fact, Daily Mail reports that marijuana smoke has more cancer causing chemicals than tobacco. Additionally, Herb reports that long term cannabis smoke is related to an increased risk of periodontal disease, possibly due to the irritating effects of hot smoke on the gums. Cannabis smoke can also cause damage to large airways due to hot, burning plant matter being inhaled according to Herb. Bronchitis symptoms may be caused by regularly inhaling cannabis smoke as well. A 2016 rodent study revealed that one minute of exposure to second hand cannabis smoke caused harm to blood vessels which means a similar effect to humans since they have similar blood vessels to rodents. MYTH: You can’t get addicted to something your doctor prescribes. Fact: Although many medications are perfectly safe if prescribed dosages are heeded, prolonged use can be dangerously addictive and even fatal. In fact, Business Insider reports that prescription pain relievers like Vicodin and OxyContin have caused more deaths by overdose than heroin and cocaine combined. Prescription opioid abuse has become a national epidemic in recent years. To illustrate, the number of unintentional overdose deaths from prescription pain relievers has more than quadrupled since 1999. This has proven to be a serious global problem that affects the health, social, and economic welfare of all societies. Additionally in states where medicinal marijuana is legalized, it is possible to grow addicted to it even under medical guidance. MYTH: Addicts are bad, crazy, or stupid. Fact: Although someone may have chosen to use a substance initially, they did not choose to experience the addiction that follows. Addicts are victims and their potential for addiction has been affected by genetics, environmental factors, developmental factors (family upbringing and past trauma) and psychological and personality factors. Drug addiction is a serious illness and like any illness, addicts need to undergo a treatment to get better. Receiving blame may only result in addicts seeing a justification for further substance abuse, and accepting a multitude of negative emotions that prevent them from thinking clearly. Blame will never benefit anybody so it’s more important to support one another in the aspiration of putting an end to substance abuse. The world and culture we live in today have become increasingly casual towards the idea of marijuana. It is becoming mainstream in music, literature and the daily activities of everyday life. The constant appearance of marijuana makes it appear as something “cool” and necessary in order to fit in. That was exactly what I wanted. I just wanted to be accepted and gain popularity. I felt like by using marijuana, it would be the easiest way to achieve my goals. At the time, I was always ignored and seen as a sort of outcast. Because of this mind-set, in the eighth grade I thought it would be a good idea to smoke marijuana on school grounds. I just wanted the experience and to see for myself what all the hype was about. Someone I knew obtained it for me and then he gave it to me at school. On that same day, several other individuals, as well as myself, went to the gymnasium and smoked. After smoking a decent amount, I began to feel extremely and increasingly socially awkward. At least more than usual. I somehow had forgotten all of my social skills and lost my confidence. I have been very self-conscious for as long as I can remember now, but these feelings were intensified to the point where I just wanted to go home alone. I started to feel paranoid and had maximized obsessive thoughts. It was almost unbearable. I was extremely aware of my surroundings, constantly thinking that we would get caught. And that was exactly what happened. Later on in the day, I was called down to the office. Apparently, one of the individuals that smoked with me thought it would funny to post a video on Snapchat. The word must have got out about what was happening because then the principal found out. They contacted my parents of course, and banned me from school grounds for the rest of the school year. I was also banned from school activities such as formal. I was extremely upset. It was my last chance to spend quality time with my friends before we all separated for the summer and attended different high schools. Because of this, I emailed the principal apologizing and admitting to my wrong doings. I showcased my deep regret, reflecting on my actions and told her expressively that I would never do such an act again. In the end, I realized that it was not worth it at all. You might think it is cool because many others do it. However, just because others do it does not mean you should. You do not have to stoop down to their level. You might not realize it, you might not be able to see it, but the drug is negatively affecting your body and your mind. Doing drugs is not only going to hurt you in the long run, but it will also hurt others around you. I experienced first hand that friends, respect and most importantly, trust will be lost. Some of my closest friendships were ruined as a result of this crime I committed, it was the most saddening and isolating period of my life. No one wanted to be around me because they thought I was a “pot head”. People that are using marijuana think that it is not a big deal. But I would never wish upon the struggles that resulted from this one mistake to ever happen to anyone else. Even to this day, I have never fully regained my parent’s trust. Marijuana may seem innocent in the eyes of teenagers today, it may be legal in some states, but that does not mean it is safe. Not only does it harm the physical, but it also harmed my emotional and mental state. Some would say that I got off “easy”, but it made me realize the negative impact of my actions. I will never do it again because all I feel now is shame and regret. Suicide is very prevalent in our society today because it overtakes three fourths of The United States death tolls. Homicide rates in The United states are 16,108 while suicide rates are 41,143. The only age where homicide rates occur more than suicide is between the ages of 0 and 14, 395 suicidal rates and 895 homicide rates. The age with the most suicidal rates is 45 to 54 standing at 8,621 and homicides at 1,989. For females, homicide rates are 3,317 and 9,659 for suicidal. For males, homicide is 12,486 and 33,110 for suicidal deaths. Virginia has 236 suicidal deaths and 58 homicide deaths. “These statistics are stunning, I think suicide should be more carefully approached,” said freshman Ashley Villatoro. One of the most popular suicide places in the world is the Golden Gate Bridge in San Francisco. On average, people jump from the bridge once every two weeks. A person jumping from the highest point of the bridge will drop 220 feet with that amount of force, it is an almost-immediate death. 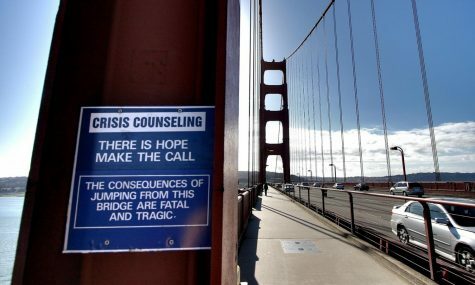 Near the rails of the bridge where people jump there are signs that say “Crisis Counseling.” Another place that people commit suicide from is a bridge in Tampa Bay, Florida. The drop is about 175 feet. In order to try to help jumpers, six solar-powered phones were set up along the bridge and 24-hour patrols were initiated. One more place in the us made the top 10 places to commit places, San Diego-Coronado Bridge, San Diego Bay, California. The drop is 200 feet, unsurprisingly, signs have been put up on the bridge urging people to turn back and call a hotline. “It was smart of them to put the signs up to show people that there’s more than to take your own life.” said freshmen Yahaira Paz. Empowering songs that bring awareness and appreciation to artists to gain more recognition. 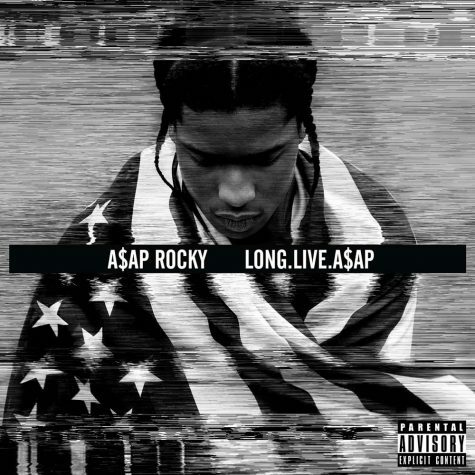 Behind the underlying beats and catchy lyrics, there is a deeper story to be told. Whether it is a sexual innuendo, or just simply improper and profound language, sometimes lyrics can be lost in translation. The vocal and instrumental sounds combined makes a sort of beauty behind the words. It expresses emotion and harmony. An artist may incorporate word play, figurative language, and rhymes to make the music however, the listener must decode the deeper messages within the words. We must look a little closer at the lyrics of our favorite songs to really understand the message the artist is attempting to tell. Music is a hidden language, the lyrics express the dark realities that cannot be said aloud. A song that will make you come to tears. 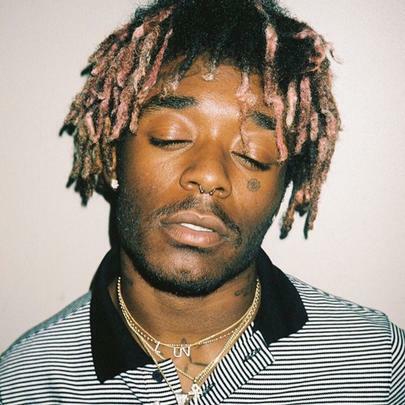 Lil Uzi Vert, originally Symere Woods, delivers his piece with real emotion, seemingly stricken with depression and suicidal thoughts. “She said ‘Baby, I am not afraid to die.” This line brought attention to abusive relationships. “Push me to the edge/ All my friends are dead.” The feelings he wishes to express are dark and moody, stating how alone and isolated he felt. Acting as a message of hope and meaning, the track brings attention to suicide prevention. Featuring Alessia Cara and Khalid, they deliver their verses of encouragement and empathy to those who feel alone and are on the verge of suicide. In addition to this, they bring uplifting and emotional support to listeners to keep fighting. 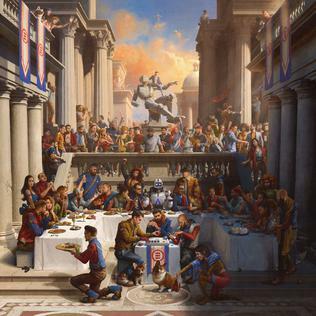 Logic’s lyrics, “I wanna feel alive / I don’t even wanna die anymore,” showcases that a story of tragedy and isolation can be changed. A story of attempting to revive hope in others. The track brings attention to the necessary steps in helping others who are struggling to help themselves. The line, “Try to slip past his defense,” is a direct representation of individuals who are afraid to confide in others. 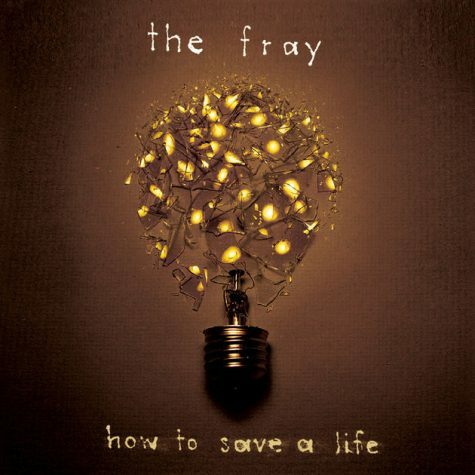 The track’s lyrics are notably important, bringing attention to communication being the key to saving a life. I received prank calls. Unknown would call me, laugh, and say nasty things. I thought it would stop after a couple days, but I continued getting them for a good month. I didn’t tell anyone about this because I didn’t want to seem like a loser. At first, I ignored them and continued on with my daily activities. Then, kids at school began to make comments and laugh as I passed by in the hallway. They judged me based on my appearance and actions. It eventually got to the point where I had to watch where I walked, looked around corners, and hope a friend would be nearby so I could have company. Whenever I saw them, I would immediately turn in the other direction or try to find another quick route to get to my destination. Days turned into weeks. The messages continued, and the bullying at school as well. I began to believe what they said and accepted that I wasn’t wanted here anymore. I often turned to self-harm as an outlet for my frustration. A few friends tried to help me, but I didn’t listen to them. I believed that I wasn’t wanted here anymore and thought that by disappearing, I’d be doing everyone a favor. This was my mindset for the last few months of sophomore year, and I hated it so much. There was no one I trusted fully or believed truly appreciated me for who I am, and I began hating myself so much because of that. I hated everything about myself from my looks to my talents. I threw away the mindset of “everything will get better”. Nothing got better. My attitude only got worse, and the level of hatred I had for myself and this world gradually began to increase. As if things at school weren’t going bad enough, things at home began to get rocky too. I got into constant fights with my family members and argued for days and days over every single, small issue. It seemed as my family didn’t care. They told me that something was wrong with me and others would soon see it too. Finally, a good friend of mine reached out to me and assured me that people were there for me. I got connected to a group of friends who messaged me constantly to check up on me and to make sure I was never alone. They prevented me from having thoughts about harming myself again. Through my support group and other methods of coping, I slowly began to appreciate myself more and saw the value of my worth. Whenever things got hard, I would journal everything out. Spilling out everything, I found it was very helpful. I released my anger and sadness upon the pages of my journal. I believe the causes of my depression or suicidal thoughts were due to my lack of self-confidence. Even before I was bullied, I lacked self-confidence from the beginning. I also was not open to receive help from friends. I ignored what they said, and wanted to go my own way, which was a dark path. If you or someone you going through depression, suicidal thoughts or anxiety, just remember that you are not alone. There are others who go through this and overcome it. You can too. If a friend that is going through depression and rejects you, keep on checking up on your friend. Don’t give up on that person. There is a difference between common sadness and clinical depression. Typical sadness comes and goes; it can be caused from drama,school, stress and being overwhelmed. However, depression is the constant feeling of hopelessness, anger, emptiness and sadness. There are several things that can make someone to feel down. It could be a life-changing event, something that is greatly overwhelming, for example: divorce, changing schools or even a death. There is nothing wrong with being diagnosed with depression and it is important to know if you are someone you know are showing serious signs of depression. Common signs of depression include sleep problems,loss of interest in usual activities, talking negatively, poor memory and attempt of suicide. Depression can affect sleeping patterns. It can cause getting too much or too little sleep. It can be hard to get out of bed in the morning. You may wake up sad and lay in bed unable to figure out what is wrong. Fatigue goes in hand with sleep and tiredness. During the day, serious exhaustion can interfere with daily activities. It differs from common tiredness from a long day. Fatigue is consistent and halts your motivation. It’s possible to withdraw from activities one previously participated in and enjoyed. “They might start to withdraw and not want to spend time with their friends and family,” Brosnan said. Change in eating habits and weight. There could be a change in appetite and eventually affect your health. Having a loss or gain in appetite could cause weight gain and loss. This could lead to anorexia, binge eating or bulimia. Depression can affect the digestive system and cause nausea, indigestion, diarrhea and others. It’s not uncommon for people to be negative and talk negatively about things. However, there is a difference when someone is talking about feeling worthless and helpless in a serious manner. “They might start saying things to let you know that they feel hopeless, down or sad,” Brosnan said. Sometimes, a depressed person does not want to tell another person directly how they feel. However, a serious sign is constant and serious talk about suicide and death. According to Healthline, depression can cause short-term memory and forgetfulness. Poor concentration may occur making it difficult to focus on tasks, thinking straight and decision making. A warning sign can be visible marks on their body which shows self harm. “One of the things people can do is give stuff away. Maybe if you knew somebody who had plans to go off to college and now they’re not talking about college anymore and how life is so hopeless and how you’re going not going to have a future,” Brosnan said. If you are or anyone you know is going through any of these symptoms, it is important that you seek guidance immediately. If you can not reach out to family members about your feelings, talk to your friends or trusted adult. “If you are concerned about somebody you need to intervene right away because that person needs to talk to you and talk to somebody right away. You need to let an adult know you can go to your teacher or counselor,” Brosnan said. Mrs. Brosnan is always open to talking with students who need guidance. An additional option is calling an anonymous hotline such as, 1-800-273-TALK (8255). “There’s so many great resources in our community. You don’t need to be sad and you don’t need to be hopeless. The good thing about depression is that it’s very treatable and a lot of people feel better but you just have to do something about it. You have to speak up and you have to come forward,” Brosnan said. There are people who want to and are willing to help you. You are never alone.